Yes, it’s another early PS Store. 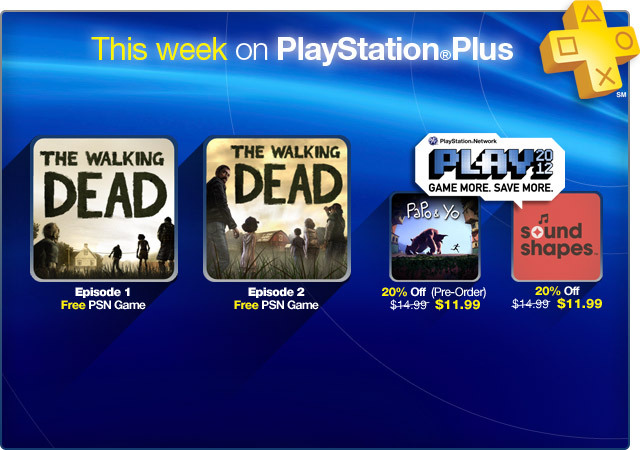 PS Vita and PS3 owners finally get a slice of creative musical platforming today with the release of Sound Shapes, and PlayStation Plus subscribers get The Walking Dead: Episodes 1 and 2 for free. There are a handful of full PS3 games and several big pieces of DLC worth checking out. Take a look at the full listing. Return to Gamindustri and help Nepgear free the captive Console Patron Units from the clutches of ASIC! Meet the other CPU Candidates from around the world and put a stop to Arfoire’s designs! With the triumphant return of fan favorite characters like Mai, K’, and Vice, extensive refinement of the core fighting engine based on community feedback, and vastly improved network functionality, The King of Fighters XIII represents the HD entry in the series that fans have been waiting for. Equal parts instrument and game, Sound Shapes gives everyone the ability to make music. Play through a unique campaign that fuses music and artwork into a classic 2D platformer. Create your own unique musical levels with all of the campaign content and share with the world. Sound Shapes creates an ever-changing musical community for everyone to enjoy at home or on the go. Purchase the PS3 version of Sound Shapes and receive the PS Vita version at no additional cost! PAYDAY The Heist is an action filled FPS game for the PlayStation Network that lets players take on the role of a hardened career criminal executing intense, dynamic heists in constant pursuit of the next “big score”. Load out with an array of weaponry and equipment. Navigate six high-stake heists with three other live or A.I. Co-Op partners in crime. Time for a PAYDAY – Cash in Before you Cash Out! 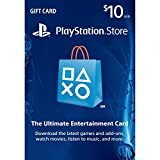 Tournament Tickets (10 for $4.49, 20 for $7.49, 50 for $15.99, 200 for $50.99) – The brand new UNCHARTED 3: Among Thieves multiplayer Tournament System ushers in a points-based competition that has three reward tiers which grant you special in-game weapons or items based on how well you’ve played. Once you unlock a weapon or item it’s yours to use until the next tournament period. You can buy into a tournament using tournament tickets. You’ll always carry a balance of ten tickets per tournament period but you will be able to purchase more via the PS Store. A tournament leaderboard will be added to the leaderboards section so you can track your skill level among your friends! Map “VERGE” ($1.99) – VERGE features two distinct bases as players jump between vectors, and sneak through multiple paths to gain the upper hand. Battle and master the multiple planes in this intense and frantic map. Map “RIOT” ($1.99) – RIOT features a dark deserted urban landscape. Fight in multiple buildings, several levels, and an intense sniper’s paradise. Master your Gravlink to pull campers from their cover, throw objects, and gain the upper ground for control of the map. Season Pass ($19.99) – Season Pass provides a discount on the Maker Armor Set (available now), The Abyssal Forge (available soon), and The Demon Lord Belial (available soon). Please note Season Pass does not include any content other than the three items listed above. Season Pass content should be accessed and downloaded in-game, or you may be charged twice. Visit darksiders.com for more details. Rugby Pack ($4.99) – A full rugby training programme to add to your miCoach living room experience – train with the best! Train in the comfort of your own home with an all-star rugby training team – Ma’a Nonu and Will Genia. It’s your exercise world, perfectly synced from your PlayStation 3 system, via the web or via your smartphone. Wolfpack ($9.99) – PAYDAY The Heist Wolfpack is the first DLC for this action filled FPS. Features: New Weapons: STRYK full auto pistol, AK Automatic Rifle, Grenade Launcher and deployable sentry gun. 2 New Heists: Undercover (transfer money to your account from the IRS) and Counterfeit (secret operation in Florida). Hosting Ability: Invite friends to play in the new DLC maps even if they do not own the DLC themselves. New Skilltree: Raise your level cap to 192. Firefight Pack ($1.99) – Unleash hell with the Firefight Pack! Firefight adds seven weapons for use in the single-player campaign: the Indra and Krysae sniper rifles, Reegar Carbine, Harrier battle rifle, Geth SMG, plus the all-new Blood Pack Punisher SMG and Adas Anti-Synthetic rifle! Notice Board Quests – The Savvy ($2.99) – After completing “Reward and Responsibility,” an extra 8 exclusive quests become available at notice boards everywhere. From a Different Sky – Bundle Pack ($6.99) – All of the ‘From a Different Sky’ quests in one handy bundle. Can you complete all 100? Check the Pawn Guild to begin! Right to the Blacksmith Pack 9 ($0.00) – Here is some good news for those too spineless or too lethargic to Convert! Take the following items and get your bad self to Gordon’s place! Shining Blade x 1, Ring of Light x 1, Mysterious Jewel x 1, Genbu’s Bowl x 1, Seiryuu’s Eye x 1, Byakko’s Crest x 1, Suzaku’s Wing x 1, Generation Crystal x 2, Whispered Dream x 2. Bonus Point Pack 7 ($5.99) – Thank you once again for your profligate spending habits. Today we have prepared a heaping helping of party points just for you. Included points: 3,000PP. These points can be shared amongst your entire party. Spread the wealth, create a single superhero, or shower them upon a beloved character; it’s entirely up to you. Frensberge Specialty Pack 5 ($1.99) – At these prices, you might as well be stealing all of this stuff! Now, the fifth set of Fresnberge-themed goods for your buying pleasure! Keep spending; the town needs the cash! Langguth Sword x 1, S. V. Rouge x 1, Injector Maximus x 1, Lollipop Stick x 1, DESHIMARU x 1, Training Wear x 1. Right to the Blacksmith Pack 10 ($0.00) Listen up, all you lazy, cowardly oatmeal warts who can’t be bothered to Convert things on your own! Take the following stuff to Gordon and let him work his magic. ATK Element Ω x2, DEF Element Ω x2, MAG Element Ω x2, RST Element Ω x2, STR Element Ω x2, VIT. Element Ω x2, INT Element Ω x2, MND Element Ω x2, AGI Element Ω x2, DEX Element Ω x2. Bonus Point Pack 8 ($6.99) – Thank you once again for your profligate spending habits. Today we have prepared a heaping helping of party points just for you. Included points: 6,500PP. These points can be shared amongst your entire party. Spread the wealth, create a single superhero, or shower them upon a beloved character; it’s entirely up to you. Extra Costumes 2 ($2.99) – Here is something for one of the lovely ladies in your life to bathe in! Why not get one of them to put it on now?! 3rd Extra Character ($2.49) – Hark! Allies that will share in your joys and sorrows have come in droves! Now, it is time to overcome adversity together! Additional Colors Pack #1 ($1.99) – Additional colors for Yu, Yukiko, Teddie, and their Personas. Each character will have 8 new colors, 2 of which can only be used offline. Additional Colors Pack #2 ($1.99) – Additional colors for Chie, Naoto, Akihiko, and their Personas. Each character will have 8 new colors, 2 of which can only be used offline. Additional Colors Pack #3 ($1.99) – Additional colors for Yosuke, Aigis, Labrys, and their Personas. Each character will have 8 new colors, 2 of which can only be used offline. Additional Colors Pack #4 ($1.99) – Additional colors for Kanji, Mitsuru, Elizabeth, Shadow Labrys, and their Personas. Each character will have 8 new colors, 2 of which can only be used offline. Additional Colors Full Pack ($5.99) – Additional colors for all the characters. Each character will have 8 new colors, 2 of which can only be used offline. Glasses Pack #1 ($1.99) – Glasses for Yu, Yukiko and Teddie. When selected, the corresponding character will wear glasses during battle. NOTE: Additional glasses colors will be available if you also purchased the corresponding characters’ additional colors. Glasses Pack #2 ($1.99) – Glasses for Chie, Naoto and Akihiko. When selected, the corresponding character will wear glasses during battle. NOTE: Additional glasses colors will be available if you also purchased the corresponding characters’ additional colors. Glasses Pack #3 ($1.99) – Glasses for Yosuke, Aigis and Labrys. When selected, the corresponding character will wear glasses during battle. NOTE: Additional glasses colors will be available if you also purchased the corresponding characters’ additional colors. Glasses Pack #4 ($1.99) – Glasses for Kanji, Mitsuru, Elizabeth and Shadow Labrys. When selected, the corresponding character will wear glasses during battle. NOTE: Additional glasses colors will be available if you also purchased the corresponding characters’ additional colors. Glasses Full Pack ($5.99) – Glasses for all the characters. When selected, the corresponding character will wear glasses during battle. NOTE: Additional glasses colors will be available if you also purchased the corresponding characters’ additional colors. Navigation #1 (Teddie) ($2.99) – Battle navigation voice for Teddie (selectable in Versus Mode and Network Mode). NOTE: Skilled players can unlock this content by playing the game. Navigation #2 (Yosuke) ($2.99) – Battle navigation voice for Yosuke (selectable in Versus Mode and Network Mode). NOTE: Skilled players can unlock this content by playing the game. Navigation #3 (Mitsuru) ($2.99) – Battle navigation voice for Mitsuru (selectable in Versus Mode and Network Mode). NOTE: Skilled players can unlock this content by playing the game. Navigation #4 (Aigis) ($2.99) – Battle navigation voice for Aigis (selectable in Versus Mode and Network Mode). NOTE: Skilled players can unlock this content by playing the game. Navigation #5 (Fuuka) ($2.99) – Battle navigation voice for Fuuka (selectable in Versus Mode and Network Mode). NOTE: Skilled players can unlock this content by playing the game. Navigation #6 (Nanako) ($2.99) – Battle navigation voice for Nanako (selectable in Versus Mode and Network Mode). NOTE: Skilled players can unlock this content by playing the game. Color Palette Add-On 6 ($0.00) – The 6th color pack (4-color set) for character color customization. Note: This add-on is exclusive content for STREET FIGHTER X TEKKEN. SF Boost Gem Pack 9 ($0.99) – 10 Boost Gems exclusively for Street Fighter characters. Perform a technical action to activate the effects for these Gems. Note: If you would like to see the effects of the Gems individually before purchase, please use the Store from the game’s Main Menu. The effects of the Gems may be subject to change. SF Boost Gem Pack 10 ($0.99) – 10 Boost Gems exclusively for Street Fighter characters. Includes Gems for fighting against Pandora as well as Gems for instantaneous vitality recovery. Note: If you would like to see the effects of the Gems individually before purchase, please use the Store from the game’s Main Menu. The effects of the Gems may be subject to change. TK Boost Gem Pack 9 ($0.99) – 10 Boost Gems exclusively for Tekken characters. Perform a technical action to activate the effects for these Gems. Note: If you would like to see the effects of the Gems individually before purchase, please use the Store from the game’s Main Menu. The effects of the Gems may be subject to change. TK Boost Gem Pack 10 ($0.99) – 10 Boost Gems exclusively for Tekken characters. These Harmonize Gems activate upon various differing conditions. Note: If you would like to see the effects of the Gems individually before purchase, please use the Store from the game’s Main Menu. The effects of the Gems may be subject to change. Boost Gem Trial Pack 4 ($0.00) – A total of 3 Boost Gems that all characters can use. Note: If you would like to see the effects of the Gems individually before purchase, please use the Store from the game’s Main Menu. The effects of the Gems may be subject to change. Anything ($0.99) – An Endless Sporadic. Compatible with Rock Band 3 and Rock Band Blitz. (I’m the One That’s) Cool ($0.99) – The Guild feat. Felicia Day. Compatible with Rock Band 3 and Rock Band Blitz. From the Blue/Point of No Return ($0.99) – An Endless Sporadic. Compatible with Rock Band 3 and Rock Band Blitz. Romancing the Ordinary ($0.99) – Rose of Jericho. Compatible with Rock Band 3 and Rock Band Blitz. The Ravenous ($1.99) – I, Omega. Compatible with Rock Band 3 and Rock Band Blitz. Manuel Neuer ($4.99) – Add soccer superstar Manuel Neuer to your miCoach football training team – train with the best!Train in the comfort of your own home with an additional soccer star for your all-star soccer training team. It’s your exercise world, perfectly synced from your PlayStation 3 system, via the web or via your smartphone.